I set up my computer to watch and bid on an auction this afternoon, and the lot ended moments ago. 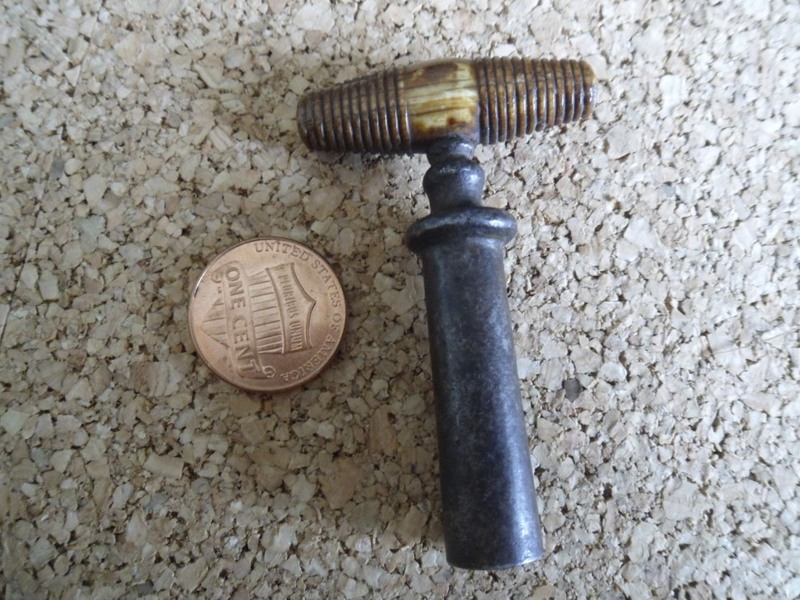 I don’t know who it was that was “in the room,” and won the Hampton Lever. But, alas I was outbid again. Actually, I was outbid from the opening bid–which started at 1200 gbp. Perhaps I didn’t really try that hard. 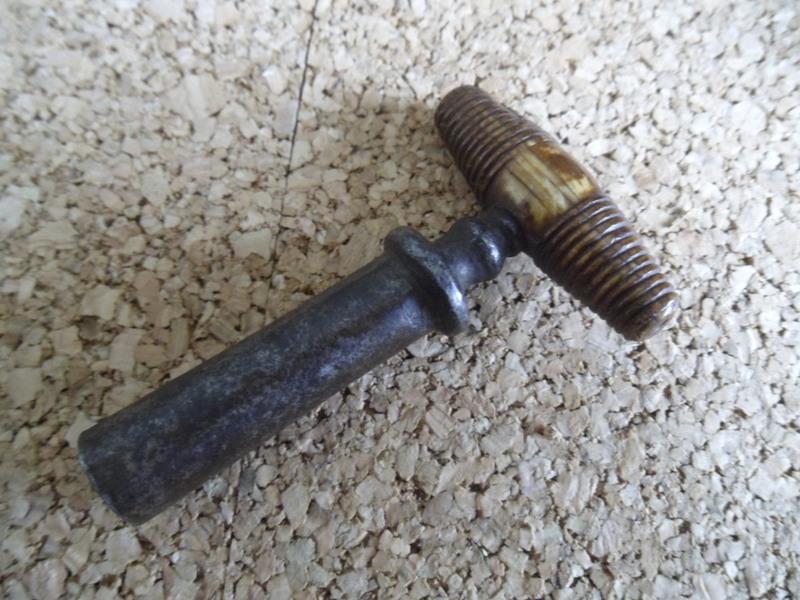 The other day I mentioned a nearby antique mall that emailed me to tell me that one of their dealers had brought in corkscrews; a whole shelf of them. And, I promptly called the shop, and they had promised to email photos. After a day or so, the photos arrived. 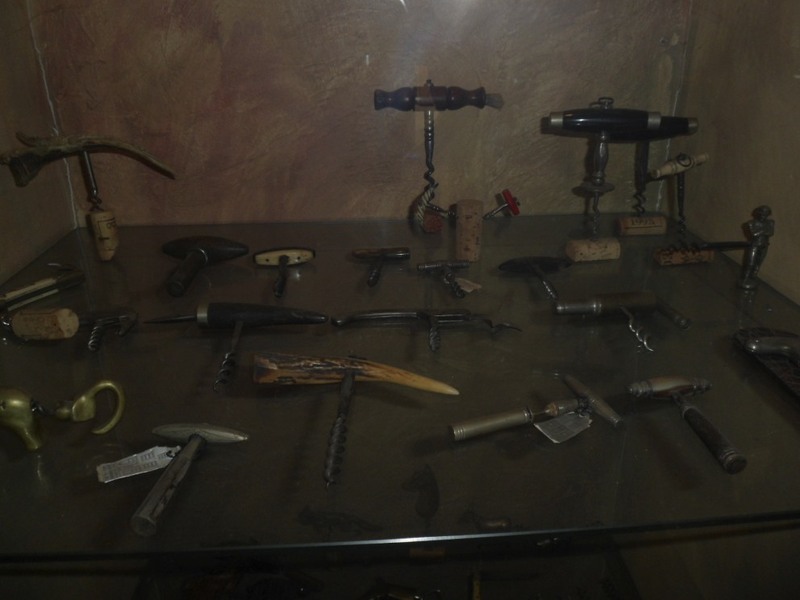 There were indeed several corkscrews, but the prices were simply unbelievable. Not unbelievably good mind you, more like unbelievably high. 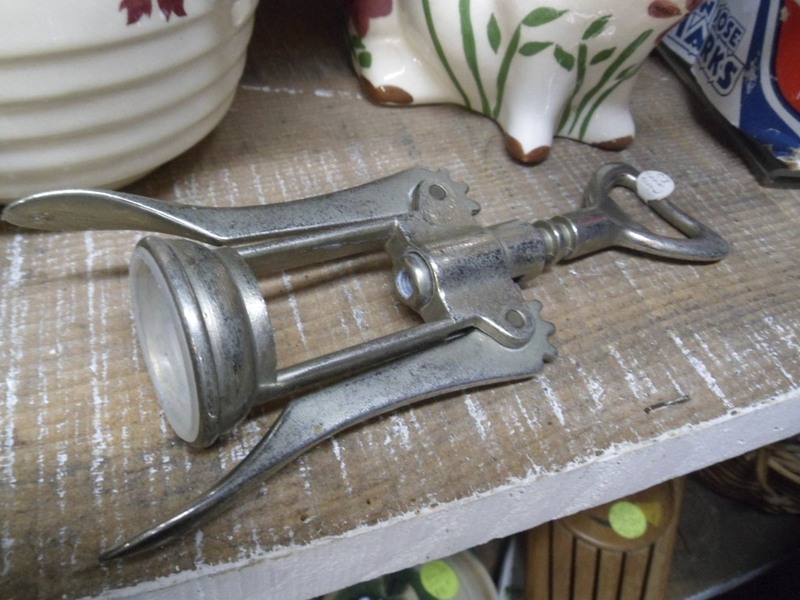 I did call the person from the antique mall, and ask about a couple of other pictures, just for clarification. And, I even verified the price on the Barman. Yes, it is definitely $325, but at least it was less than the $ 195.00 Zig zag that was included in the photos. 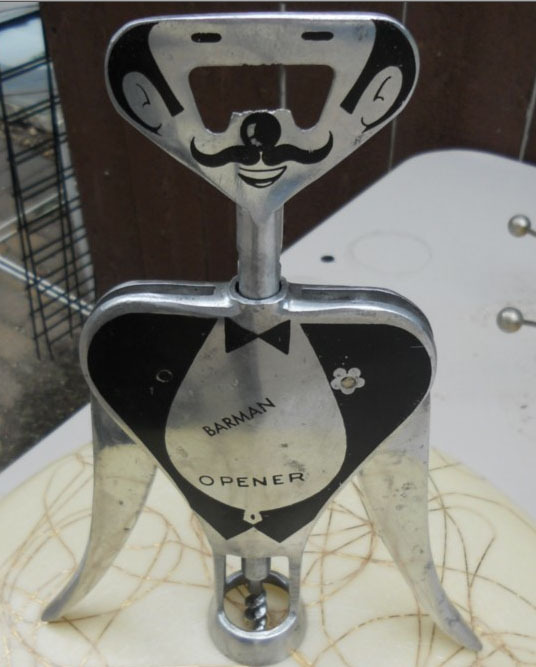 As it happened, yesterday I picked up a Gemelli Barman for a bit less. (I am half tempted to bring it down to the mall the next time I am heading South, and offer it to the dealer) At 24.99, mine was a smoking deal. And, given that it is a double, it will be available for sale or trade. Feel free to make an offer. I promise that I will take less than $ 325.00 for it. Although, if you want to pay 325.00, that is okay too. The eBay action has been a bit slow over the last few days, but that hasn’t kept us from corkscrewing around. As of yesterday, we have finalized our travel plans for the CCCC meeting in Cologne, Germany and the ICCA meeting in Thessaloniki, Greece. 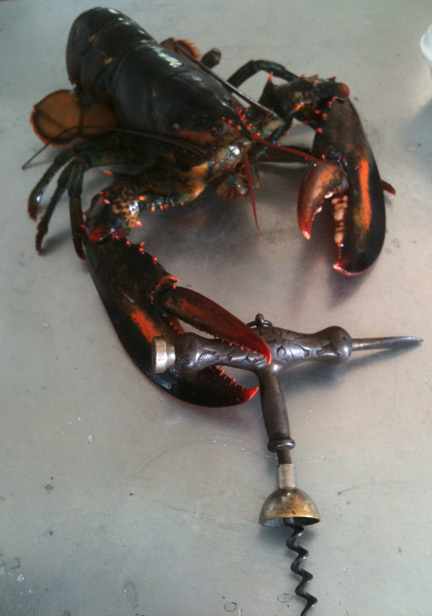 Meanwhile, I did manage to pick up a Four in One knife with Clough corkscrew attached. It is a little funny that I would be able to snap this up, as I just sold one today–only an hour or so before I got this one. 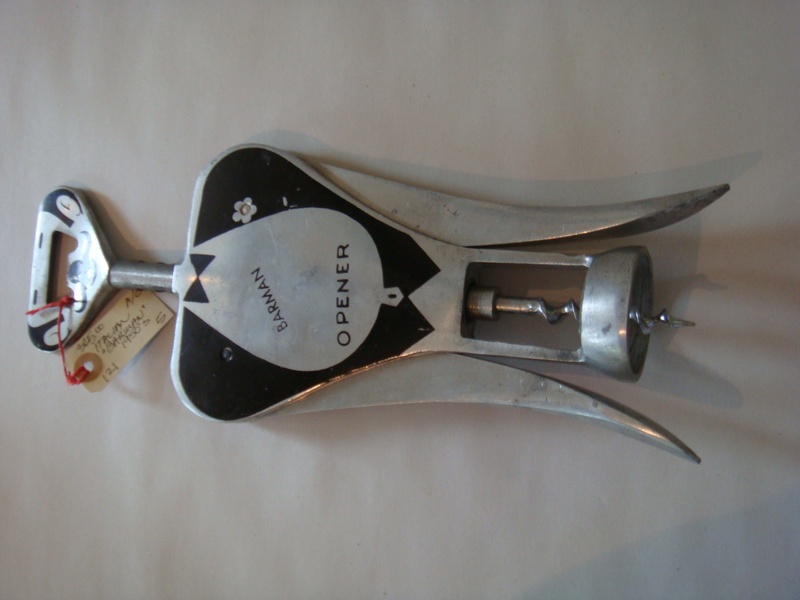 No other corkscrew news to report at the moment. But who knows what tomorrow will bring. Okay… so it seems that at every large antique mall, there exists a “wish book.” And, this book has been placed there, so that customers who are looking for specific items can write that down in the book. Theoretically, if one of the dealers who had space at that shop discovered the item that you are looking for, then they would contact you. 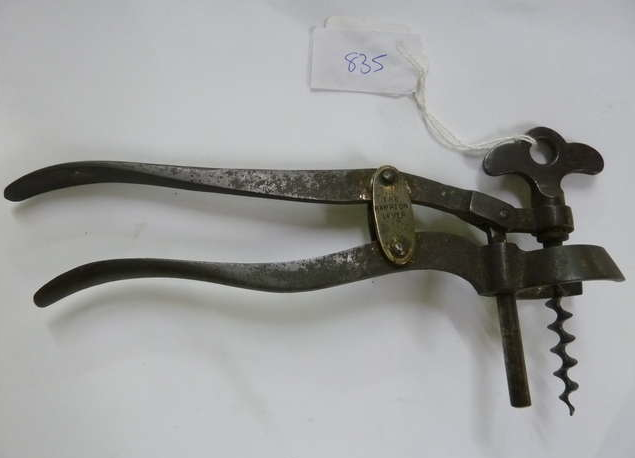 I have had my name with “Antique and Vintage Corkscrews” written in books across the country, and rarely get called. 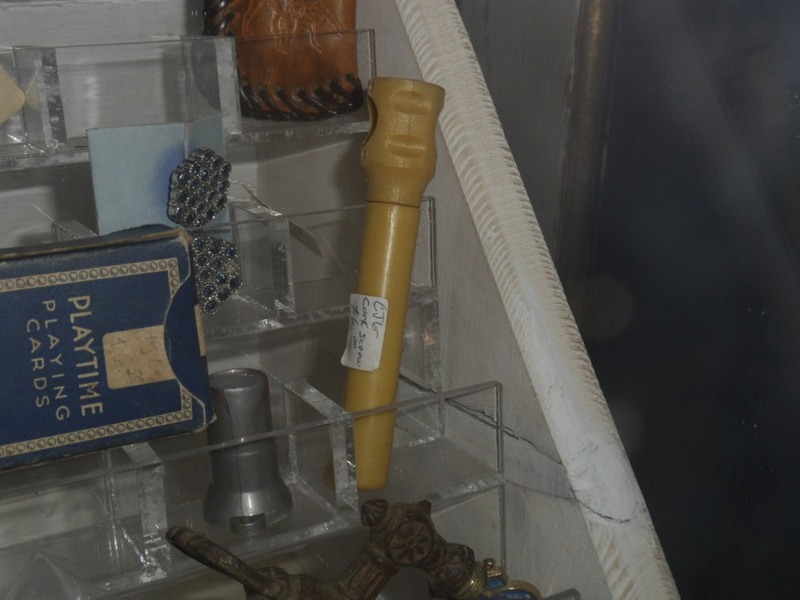 It occurs to me that it is easier to place something on a shelf, and hope it sells, than to rifle through countless pages of chicken scratch asking for corkscrews, or fountain pens, or mahjongg sets, or in Tommy’s case, beanie babies. 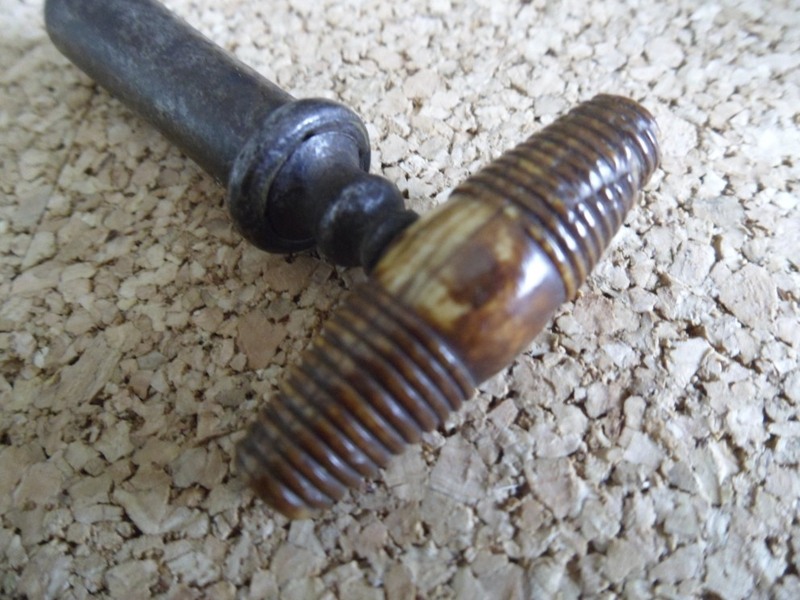 Recently a new antique shop opened down the coast, and after not finding any corkscrews, I proceeded to go through the process of scribbling down my name, phone number, and email with “Antique and Vintage Corkscrews” in their contact/wish book. Well, this morning an email came through from that very shop. Someone finally contacted me from their wish book! Of course, given the shop is so new, I might have been the only name scrawled across its pages. I picked up the phone, and the owner has agreed to send pictures. Hopefully we will see what a whole shelf of corkscrews looks like soon! Just a quick note about an upcoming auction. 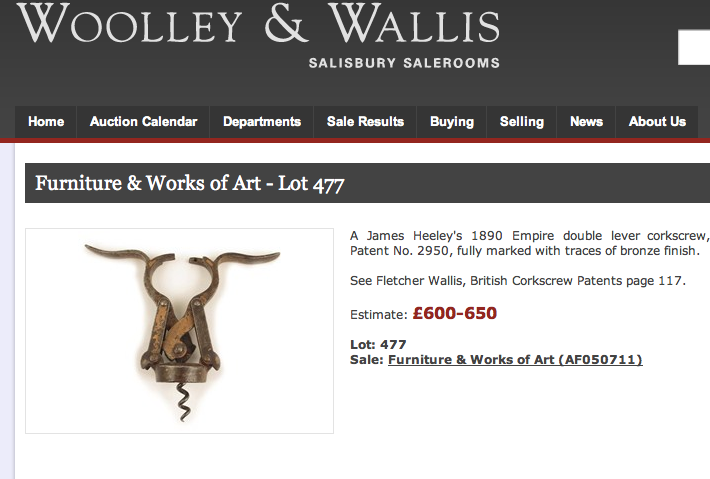 Woolley and Wallis will be having an auction on July 5 which includes The Bernard Masson Corkscrew Collection. Definitely worth checking out some of the lots. You can link to them here! The lovely bride and I did manage to hit a couple of antique stores on our way back up the coast our last day in California. 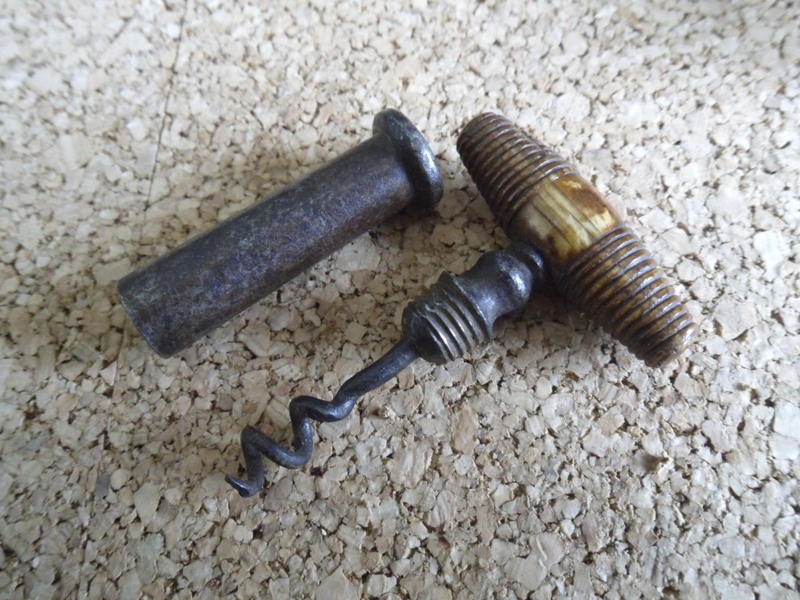 And, we did find a couple of corkscrews. However, we chose to leave them behind. And, after the red-eye back to Maine, we meandered up the coast and hopped on the boat back to the island. Upon arriving at the post office box, there were two packages waiting. One belongs to Webby, and I will be forwarding that to him tomorrow. The other is a lovely little picnic that I picked up on a non-eBay site. The pictures were pretty poor, but I figured I should take a chance. 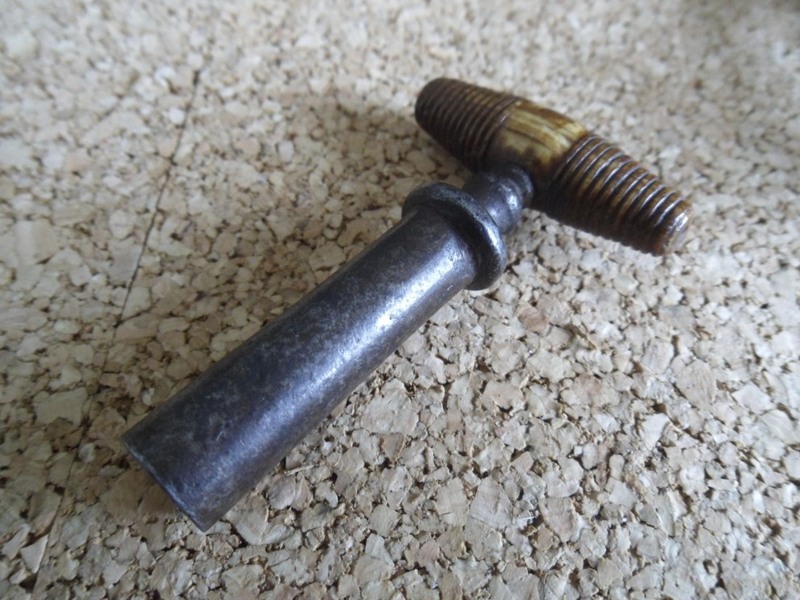 After opening up the box, and unwrapping the corkscrew–which was oddly encased in rubber thimbles?? ?–I was pleased that I took that chance! The lovely and I started heading towards Cambria, CA the other day, and decided to make the drive over Carmel Valley Road (as the 1 is closed for the time being). So, as we headed out, we had discussed where we would want to go tasting. 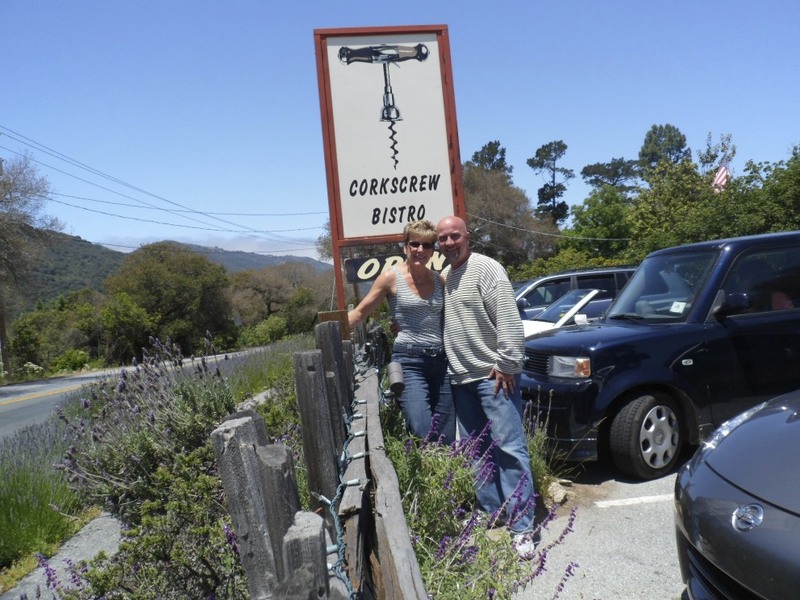 And, we decided to stop at Talbott–which conveniently–is located next door to the Corkscrew Bistro! And, after having a bit of wine, we figured…well… we might as well have lunch at the bistro. And, it was great! 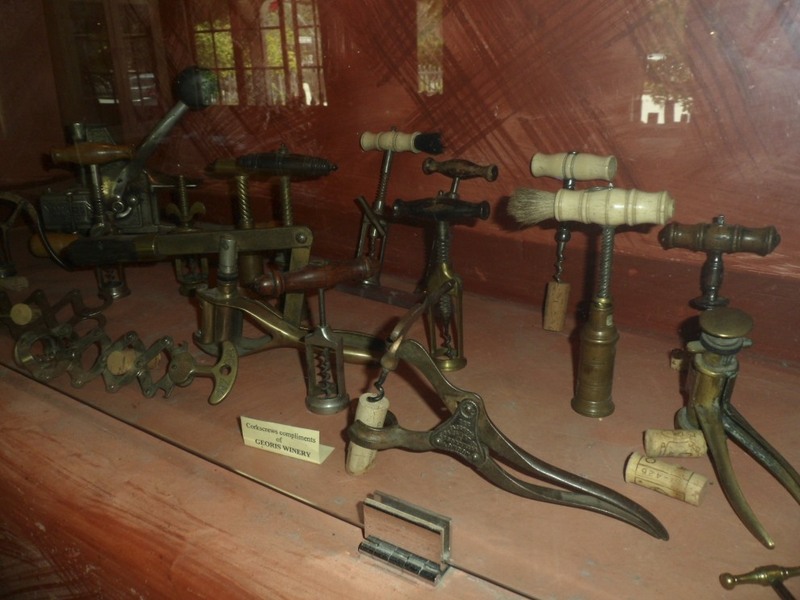 And, there were corkscrews–which stands to reason given the name of the place. After a delightful lunch, and the subsequent drive down the 101, we started heading through Paso Robles and over the hill to Cambria. Along the way, we couldn’t help but stop at Turley Vineyards for a bit of zin. YUM!!! Yesterday was spent tasting in the SLO area. And, after hitting several tasting rooms with “the Mish” and Brit, and eventually Bonnie and Bill, we all headed to the house in Cambria where the lovely bride made dinner for the family (all 9 of us). The dinner was great, and the wine flowed freely! This morning we are heading down the coast, and hitting a few antique stores along the way. If any corkscrews are found, I will report back later. The lovely bride and I have been having a blast in Santa Cruz and spending a great deal of time reminiscing about the time when we lived here many years ago. The weather, although forecast to be rainy, has been beautiful thus far, with blue skies and sunshine. Today, we start driving down the coast, and we will definitely be antiquing along the way. News of any finds will be reported here. Stay tuned…. If corkscrews turn up, I will provide updates.